Imagine gems like Amber, Citrine, Gold & Onyx, all in liquid form with zesty aromas of orange peel, hints of caramel and vanilla to lightly roasted coffee. Halfway to Heaven !!! nom....; Well yes it would be, and we are not at the top of Croagh Patrick in Co Mayo, and St Bridget hadn't just done her party trick where she turned a leper's bathwater into ale; But rather at the Launch of Franciscan Well Brewery's collection of new seasonal brews in the trendy conservatory bar of House Dublin on leeson street. Defying Legend that the water from the well has miraculous and curative powers "that no doubt, the monks glugged down for medicinal purposes as they were the masters distillers of their time", Franciscan Well Brewery founder Shane Long instead encouraged and nurtured his brewer's creativity and skills, by challenging them to come up with a unique range of seasonal brews. 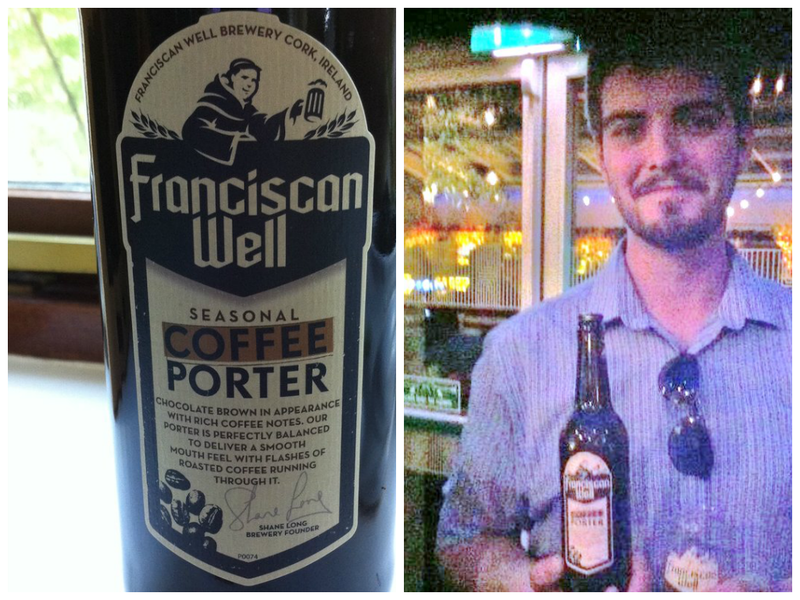 It paid off with Padraig Scully winning formula " Coffee Porter " as the first seasonal beer of 2014. 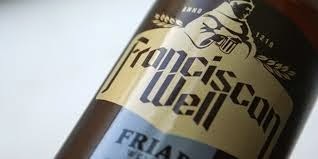 Founded in 1998 on the North Mall in Cork City, the Franciscan Well Brewery is built on the site of an ancient Franciscan monastery dating back to 1219. From grain to glass, this micro brewery has combined modern technology with age old traditions, brewing classic beers , including lager, ale, stout and wheat beers using additive-free ingredients. lovingly sourced from Ireland, UK,Germany,Czech Republic and the US. The star of the launch was without doubt the Limited Edition Franciscan Well Coffee Porter, paired with a chocolate and raspberry macaron. We tasted this one last, but in turn defying cliche, as it was so good I am starting with this gem "Move over dessert wines, Th's one a winner." A deep chocolate brown porter, sweet hint of caramel to dark-roasted malts and finished with the essence of a light roasted coffee. Perfectly balanced to deliver a smooth mouth feel and would be my choice to accompany any chocolate or creamy dessert. 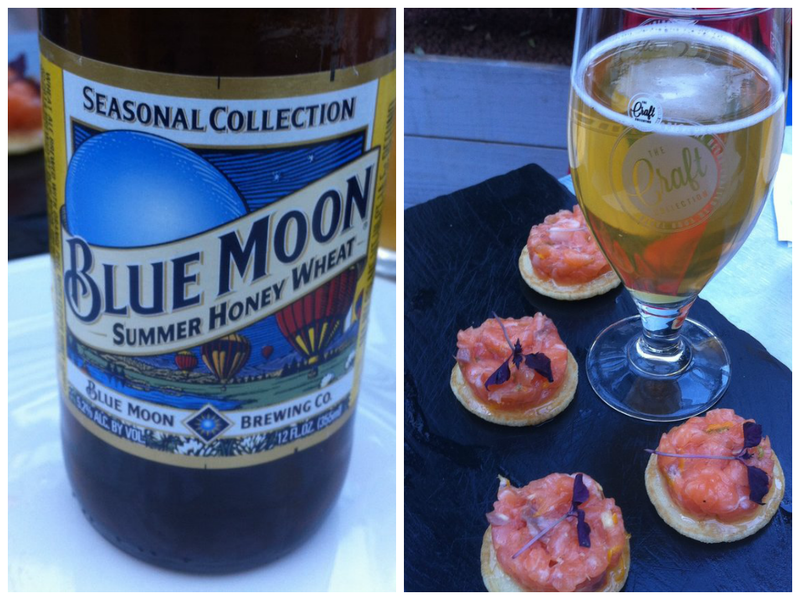 We started with the New Blue Moon Summer Honey Wheat, paired with a Salmon tartare. While light in body, this beer is full of flavour and easy to enjoy. Crisp,very refreshing with a lively zesty aroma of orange peel and honey finish. Perfect here in cutting through the oiliness of the Salmon. Next up was the Franciscan Well Rebel Red, paired with marinated venison fillet. A malt driven Irish style red ale. This well balanced hybrid, is amber in colour and owes it's unique body and character to the marriage of 2 hop varieties. Lingering and warming with sweet berry notes. Ideal with the Venison and in my opinion any dark robust meats. This was followed by Franciscan Well Friar Weisse, paired with swordfish brochette. A full-flavoured ale true to the form of it's German style, a cloudy unfiltered wheat beer with a faint Riesling fragrance, no less.Citrus notes are in there and good heady aromas of clove and banana. A good match for fish. 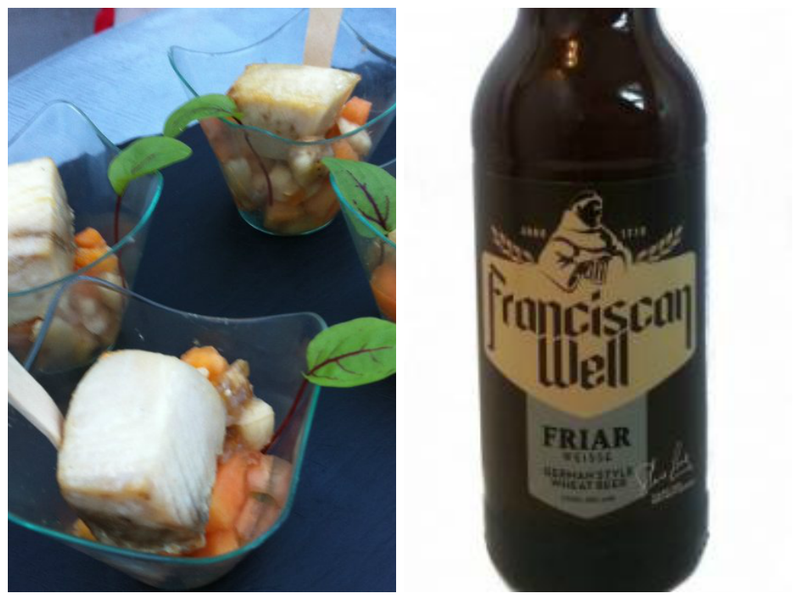 Another favourite was New Franciscan Well Chieftain IPA, paired with Stilton Cheese. A rich Indian pale ale with the distinctive nose of Summer meadows. Hoppy, malty and hints of grapefruit leaving a lasting creaminess . I have never been tempted to go in search of spiritual enlightenment by climbing Croagh Patrick on Reek day but with a few bottles of Franciscan Well brewery seasonal brews in my rucksack " to quench the thirst..like "I might just give it a go. However, for those of you who have been there and nearly did it, you could just opt for a different kind of pilgrimage by heading straight down to the brewery's pub in Cork and taste the brews on offer. Still a pilgrimage but this time in search for mercy and gratification.